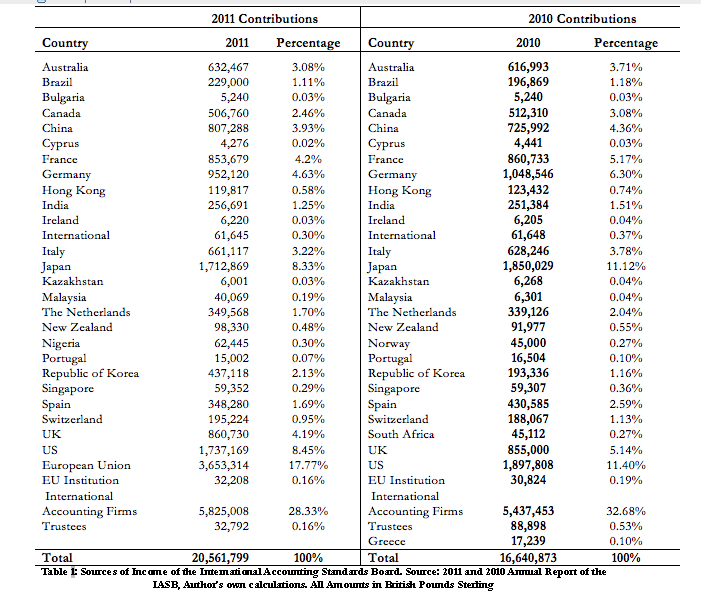 You are currently browsing the tag archive for the ‘transnational governance’ tag. I’m very pleased to announce the publication of a new English-language textbook on the management of inter-organizational relations written and edited by Jörg Sydow, Gordon Müller-Seitz and myself and published by Palgrave. While several textbooks on specific topics such as strategic alliances, outsourcing and offshoring or social networks are already out there, there was to date no comprehensive textbook dealing with different forms of inter-organizational relations from a management perspective that could be used in English-language courses on managing alliances and networks. Several academically-oriented books such as the Oxford Handbook of Inter-Organizational Relations or the book Managing Dynamic Networks are useful to complement teaching, but are – in our experience – too theoretical to structure an entire course. Conversely, practitioner-oriented texts like the Manager’s Guide to Choosing and Using Collaborative Networks can only complement, but not fill an entire university course. A case collection on alliance management has been edited by the Ivey School of Business, but this collection does not include textbook chapters. Our new book aims to include both an introduction to several forms of inter-organizational relations and the underlying academic debates as well as a collection of case studies highlighting particular managerial issues. In an effort to promote research-led teaching, all cases were developed on the basis of research projects conducted by members of the Research Group Inter-firm Networks and the Group’s international network. The book is structured in six parts, four of which comprise the main forms of inter-organizational relations that are distinguished: strategic alliances and networks, regional networks and clusters, global production and supply networks, and innovation and project networks. Especially the chapter on global production and supply networks includes a debate about transnational governance issues and discusses, for instance, the challenges associated with transnationalizing professional services or issues of accountability and liability in global production networks. Five case studies are available for each of these network types, each focusing on particular management challenges. For strategic alliances and networks, for instance, Jörg Sydow together with Horst Findeisen, Vice President at the Star Alliance Services GmbH, wrote a case on the institutionalization of new management structures in the Star Alliance. For regional networks and clusters, Chacko Kannothra and Stephan Manning from the University of Massachusetts in Boston developed a case on the new impact sourcing trend and its implications for regional development in India. For global production and supply networks, Miriam Wilhelm from the University of Groningen presents details from her in-depth research on Toyota’s practices for managing cooperation and competition. In the chapter on innovation and project networks, Leonhard Dobusch wrote about the development of the international network organization behind Wikimedia. Overall, this book tackles not only a border-crossing issue – management practices and challenges arising outside of hierarchical organizational boundaries – but also aims to bridge the gap between theory and practice in a new textbook format geared towards advanced bachelor, master and MBA students. The book is complemented by a companion website where teaching notes, a glossary and further informative links for each case are provided. Several contributions in this blog have been dealing with different examples of the transnational mobilization of labor rights by social movement organizations and trade unions, targeting transnational companies, international organizations or states to introduce and enforce core labor rights and accept freedom of associations (e.g. the Asian FLoor Wage Campaign, People’s Tribunals or the Asia-Europe People’s Forum). There are other interesting blogs which discuss the development of chances and limits of transnational labor solidarity and transnational labor rights activism under conditions of global restructuring ( transnational labor) or country specific cases (e.g. China). How did tobacco and smoking become a global health policy issue? This article – the third in our series (1, 2) on non-communicable diseases (NCDs) – examines the critical juncture at which new information, new information technology and an emergent transnational activism combined to produce a new agenda for reducing the impact of NCDs. Once upon the time, the multi-billion dollar tobacco industry appeared legally impregnable, and held enough sway to turn United Nations (UN) organisations against the World Health Organisation (WHO) to neutralise global tobacco control efforts. A 1999 World Bank report estimated that four million people died annually from tobacco-related illnesses and predicted the number to rise to ten million by 2030, with 70% of these deaths occurring in “developing” countries. According to Taylor and Bettcher, 800 million of the 1.25 billion smokers worldwide lived in developing countries in 2000. However, within the emerging global health community, a transnational anti-tobacco movement was gaining momentum by the late 1990s. One major shift in approach by the WHO was the development of a new anti-smoking initiative within its new commitment to non-communicable diseases (NCDs). NCDs increasingly became a legitimate area of WHO involvement, which was concerned about tobacco as the second leading NCD risk factor, causing 9% of mortality worldwide. Thirteen years ago the largest-ever gathering of world leaders took place on 8 September 2000 at the United Nations (UN) General Assembly in New York, where the UN Millennium Declaration was made. 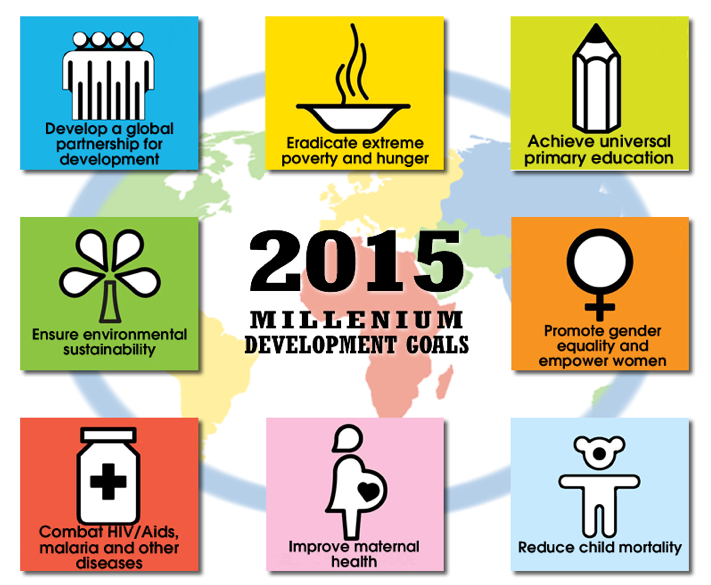 The Declaration was the most supported, ambitious and specific list of global development goals agreed upon to date, and established a list of commitments to reduce extreme poverty by 2015 which became known as the Millennium Development Goals (MDGs). The MDGs were significant for global development cooperation due to their ability to stimulate global support, specifically financial resources. Many aid agencies and donors used them to direct their funding projects, and several governments also largely founded their health strategies upon them to receive external funding, which could comprise over 50 per cent of the state’s health budget. The MDGs thereby created a specific global development agenda, which some critics however now argue was not entirely in tune with the real needs of development of low- and middle-income countries. For example, proponents of a greater focus on non-communicable diseases (NCD) criticise that despite NCDs are now the leading cause of death worldwide, they did not receive a single mention in the 2000 MDGs. Last week, I attended a very interesting conference organized by Jean-Christophe Graz, Christoph Hauert, Marc Audetat and Danielle Büschi at the University of Lausanne in Switzerland. At this conference, the prospects and limits of participation of civil society in international standardization were not only assessed by leading academics working in the field but also by members of various NGOs, including consumer and environmental organizations operating at the national and transnational level. The conference was part of a research programme at the University of Lausanne called “Living together under uncertainty” which has the aim to reinforce the relationship between academic knowledge and civil society. The INTERNORM project is trully transdisciplinary in the sense that Helga Nowotny understands the term: bringing together different types of knowledge from academics and practitioners for democratic problem-solving in the global sphere. The conference was one of the rare moments where academics and pratictioners engaged in really productive intellectual inquiry into how problems of standard-setting are framed, organized and managed in various national and transnational arenas. It also turned out to be a very cross-fertilizing event between the French and English-speaking communities in this field. Discussions revealed the many still persisting obstacles created by technical standard-setting organizations which make it difficult for civil society actors to participate on an equal footing. Yet, discussions also pointed to the strategic capacity of transnational and European NGOs to coordinate effectively across borders and to set their priorities in ways to enhance their leverage and influence. 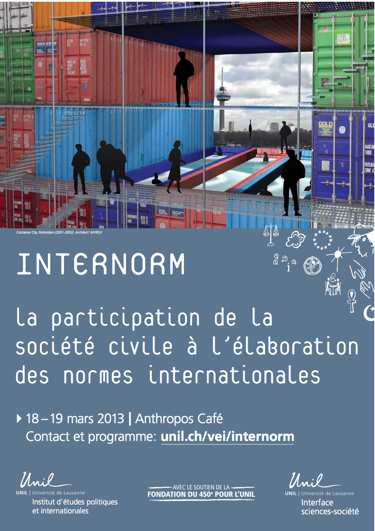 The presentations of the conferences are available on the INTERNORM project website. The CENDARI Summer School “Historical Sources & Transnational Approaches to European History”, 22 -26 July 2013, in Florence, Italy, and the 3rd Doctoral Summer School “Between International, Transnational and Global History: Information Technologies at Borders, 19th-21st C.”, 23-25 September 2013, in Pleumeur-Bodou, France. Participants will have the chance to learn about the project CENDARI (Collaborative European Digital Archive Infrastructure) which is a collaboration of computer experts and historians integrating digital archives to facilitate science. The summer school in Pleumeur-Bodou, on the other hand, attempts to overcome methodological nationalism in the study of the globalization of communications. Both summer schools offer opportunities to present one’s own research. The question whether and how NGOs or transnational social movements can be considered as productive parts of something like a global democratic governance or even an evolving cosmopolitical order has bothered many scholars sofar. In absence of a fixed nation state framework, including clear-cut geographical representation chains, some scholars even deny the attempt to understand transnational activism as a form of promoting democracy across borders. More than three years after I posted ‘Fair value accounting in retreat?’ on this blog, it seems appropriate to take stock of the results of reform initiatives undertaken after the financial crisis. Just as a brief reminder: In the course of the financial crisis, International Financial Reporting Standards were suspected to have exacerbated the collapse of financial markets. Particularly the use of “fair value accounting” for banks’ financial assets was scrutinized for its contribution to downwards spirals between devaluated market assets and banks’ rising capital requirements. Previously considered as a purely technical matter, accounting principles suddenly became a matter of international politics. The G20, the Financial Stability Board, IOSCO and the two leading standard setters, IASB and the US-American FASB, all got involved in what appeared a busy beehive of reform debates. Three-and-a-half years later, with the financial crisis followed and superseded by the European sovereign debt crisis, accounting principles seem to have returned to their status of “sleeping beauty”. Yet, this impression is misleading. Accounting principles continue to be a crucial link between the reporting of financial institutions and financial market regulation. All the more a reason for reviewing two recent publications which analyse international accounting standards reform and harmonisation. The theme of transnational governance has become again a hot topic at this years’ conference of the Society for the Advancement of Socio-Economics (SASE). The SASE’s 24th Annual Meeting is taking places at the Massachusetts Institute of Technology, Cambridge on June 28-30, 2012. It brings together academics from various disciplinary backgrounds to discuss the issue of “Global Shifts Implications for Business, Government and Labour”. One of the mini conference themes within SASE (“Regulating Labor and Environment: Beyond the Public-Private Divide“) explicitly deals with the dynamics and impacts of transnational governance arrangements and their relationship towards national regulation (see also other recent blog entry). How do local societal actors make use of and employ transnational and national regulation? When do local actors fail in their attempts to mobilize domestic and transnational regulation, and why? And in general, what do we learn about the role of domestic citizens, workers or non-governmental organizations for putting regulatory regimes into practice and broader contextual conditions which either enhance local redress mechanisms, or undermine their capacity to address grievances?